Avocado oil is growing in popularity as more and more people recognize its value as a superior cooking oil. Cold pressed avocado oil also has many beneficial properties for improving your appearance, disease prevention and long-term optimal health. I’ve written before about the importance of the smoke point of the oil you cook with and why avocado oil is the best and perhaps only oil that should be used for high temperature frying. There’s also numerous reasons why the vegetable oils in most people’s kitchens may be damaging their health and why a good avocado oil is the best replacement. Like all natural products though, there are different levels of quality. I recently tried a new range of cold pressed and extra virgin avocado oils from Avohaus which were some of the best I’ve ever tasted. On this page I wanted to cover what’s important to look for in a high quality avocado oil for the most health benefits and best taste. Also ahead are some unusual flavor infusions to try and where to find the best avocado oil for sale online. 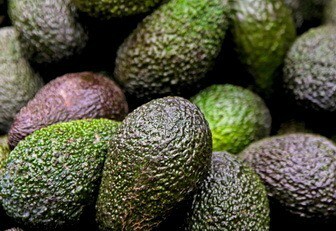 Avocado oils stable structure, even at temperatures as high as 500 degrees Fahrenheit, is especially valuable for high-temperature cooking and frying. Many people use extra-virgin olive oil in their frying pans, believing it to be healthy. While this kind of olive oil is good on your salads, it’s also a very delicate oil with a very low smoke point. Once its smoke point is reached, extra-virgin olive oil can change structurally and become decidedly unhealthy. There’s much more detail here about the problems with cooking with extra-virgin olive oil and why avocado oil is superior to it in just about every aspect. A good quality avocado oil will be derived from around three quarters monounsaturated fatty acids These beneficial fats are linked to improved cardiovascular health, a lower risk of certain cancers and, surprising to some, a reduction in belly fat. Aside from the health benefits, you also want to look for an avocado oil that’s extra-virgin and cold pressed to preserve these monounsaturated fats if you intend to use it for health and beauty applications. Unrefined avocado oil has many benefits for your hair and improving your skin as detailed here and cheaper refined avocado oil in plastic bottles is unlikely to be as effective. A carefully produced avocado oil will be high in phytosterols like beta-sitosterol that may reduce LDL cholesterol levels. Beta-sitosterol is also believed to help regulate overactive dihydrotestosterone production, which can lead to hair loss and prostate problems in men. A rich green avocado oil is also likely to be full of healthy chlorophyll, the carotenoid lutein for protecting your eyes and other antioxidants like alpha and beta-carotene and vitamin E.
Always look for an avocado oil that comes in a dark glass to protect these nutrients and keep it out of direct sunlight to preserve them. Any avocado oil is only as good as the avocados it’s made from. Avohaus avocado oil is pressed from Hass avocados and apparently has the equivalent of 12 to 14 large Hass in each bottle. If you’ve ever tried Hass avocados before you’ll know why they are considered the richest tasting and best variety. New Zealand, with its fertile volcanic soil and completely non-GMO status is recognized as the world’s best producer of Hass avocados and Avohaus avocado oil is cold pressed there directly from fresh and ripe Hass fruit. As valuable as the health benefits of avocado oil are, it’s important to really enjoy the taste of your cooking oil if you’re going to stick with it. For those used to heat and chemical extracted vegetable oils, cold pressed avocado oil will be a revelation. The rich and buttery taste lingers in the mouth like a slice of ripe avocado and is, in my opinion, far better than extra-virgin olive oil. Avohaus actually make a variety of different avocado oils — extra-virgin, organic, chili, roasted garlic and Persian lime. Both the extra-virgin and organic avocado oil have an intense and buttery avocado flavor, perhaps slightly stronger and more pronounced in the organic bottle. Either of these oils will be ideal for both healthy cooking and external beauty applications. The garlic avocado oil smells great, blends in a savory garlic flavor and goes really well in stir fries, scrambled eggs and omelettes or I’d imagine anywhere you might normally add garlic to a meal. Likewise with the extra virgin chili, that goes well with any meal where you’d like a little extra spice throughout the dish. Lime infused avocado oil was something I hadn’t tried before and it actually works really well, both in savory dishes like Asian meals and over steamed veggies. I also tried in drizzled over green salads and even to add an unusual twist to a bowl of mixed chopped fruit. From a health perspective, having some monounsaturated fat rich avocado oil with your vegetables, salads or fruit has been shown to increase the absorption of fat soluble vitamins and antioxidants, potentially minimizing antioxidant damage within your body. Avohaus is a relatively new brand but appears to be growing in popularity quite quickly. If you’re in California you can try their different avocado oil varieties for free in store tastings in places like San Diego, Orange County, Santa Monica and LA. You can also now find Avohaus extra virgin avocado oil on Amazon for delivery anywhere in the USA in a variety of flavors and sizes. I particularly like their chili, garlic, lime infused and organic options, but it’s hard to go wrong with any of these superior unrefined avocado oils. While the highest quality is rarely the cheapest, avocado oil is one of those unusual products that is both incredibly good for you and something you’ll really look forward to using. If you can, I think it’s worth getting the best. Great read…thanks for the info on Cold Pressed Extra Virgin Avocado Oil…I have been to an Avohaus Tasting and they are well worth it…you can try all flavors and I was blown away at how good this avocado oil tastes!!! Just like a fresh avocado….great right out of the bottle on everything!!! I also use Avohaus Extra Virgin every day when I get out of the shower…while I’m still damp I rub Avohaus all over my face, hair, and entire body for superb moisturizing and delivers 27 vitamins and minerals to all 3 layers of my skin…Omegas, Vitamin E, Sterols…all the good stuff my skin craves…without any irritation because it’s pure all natural 100% avocado oil from the flesh or pulp of the avocado…super good to eat and super good for skin and hair care…spot on Jim!! Hi Donald and thanks for your comments. You’re right that good quality cold pressed avocado oil like this has a lot of applications and health benefits. Certainly replacing inflammatory polyunsaturated vegetable oils with avocado oil is a healthy step and the skin properties even help you save on chemical laden commercial moisturizers. It would be good to see avocado oil get more and more popular in coming years. I have Spectrum cold pressed refined avocado oil. Is that good for the skin? I personally prefer unrefined avocado oil for the higher chlorophyll but it should still be a good moisturizer. Wondering if you know if benissimo avocado oil is good? I found a deal at a closeout store. It is non-gmo verified and says is it is expekker pressed, but it does not say if it ie refined or unrefined. I went to their website and they do not say what temp it is expeller pressed at. This article has my favorite avocado oils https://superfoodprofiles.com/avocado-oil-online but any avocado oil is going to be better than processed vegetable oil.